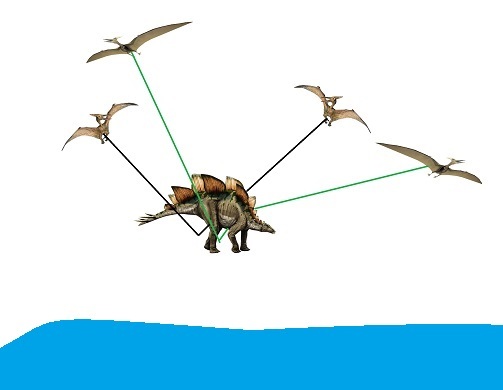 Don't forget the alternative to dinosaur boat theory. I really don't know! JRowe showed up here while I was away, so I've never interacted with him. Seems like he was probably joking though. It's impossible to tell with JRowe. A lot of the time he seemed perfectly serious, especially later on. Earlier he said some spectacularly outlandish things (air doesn't exist, fairies do...) but he admitted to being mentally ill for some of that, so... I don't know if he necessarily accepts that now, easiest way to tell is whether his posts have capital letters in (no caps = older post), but he was probably serious at the time. I don't have a lot of issues with tectonic movement as a theory. There are some troubling particulars, but it seems a stronger working theory than dinosaur boats. I just frequently point out that there are modern dinosaurs who exhibit boat building and tool making and communal behaviours. James' idea is less fantastic than it may seem at first glance. How could anyone NOT take him seriously. This is the work of a true genius.